Cactus in Puerto Morelos Update: More Blooms! We paid our night-blooming cactus another visit late last evening, and were delighted to see more blooms, and another bud ready to go! 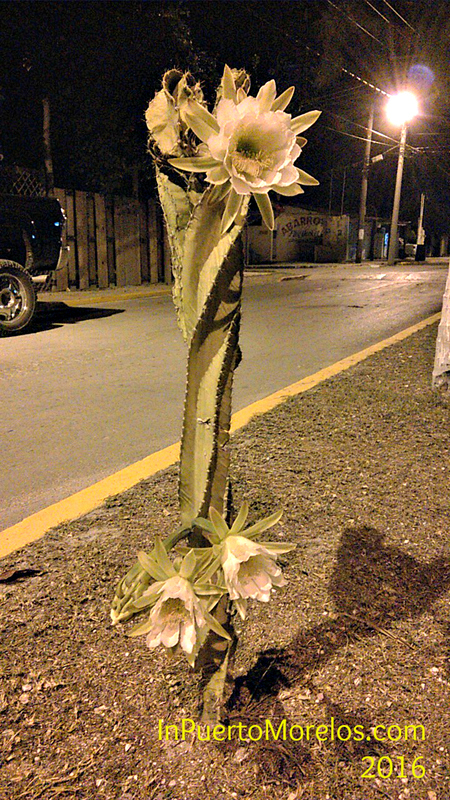 So great to see a night blooming cactus in Puerto Morelos again. We saw this around midnight on Thanksgiving Day 2016. 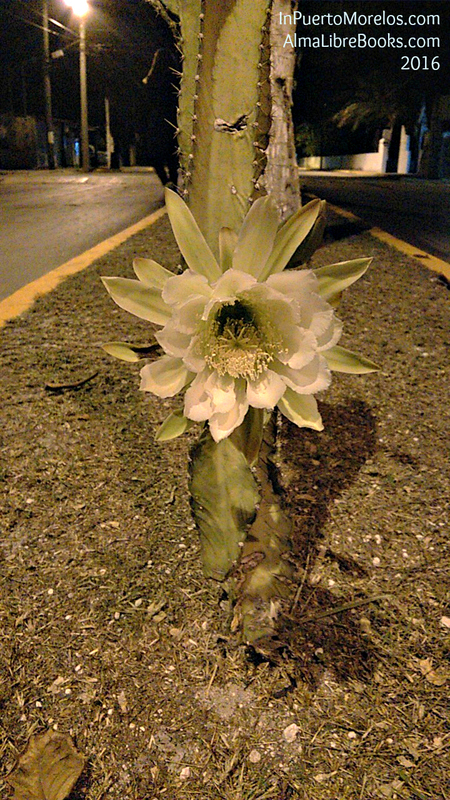 It is on the median on Rojo Gomez near the Dos Naciones hotel. I believe it is a piece of the big cactus that used to bloom near the square. Click the photo to get a bigger and better view. Fonda Americana Grill Open Again! We are happy to inform you that the rumours are true! Fonda Americana Grill is open again. We paid chef Roberto a visit last night and we were very pleased to see that nothing has changed. The menu is exactly the same as it was when they were previously open. 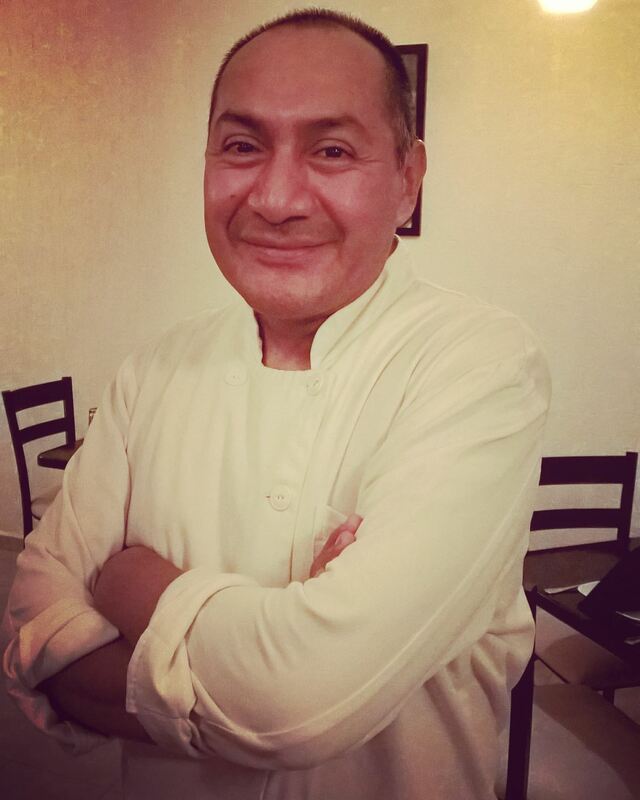 Roberto worked for many years in New York City before opening his own restaurant here. He specializes in home cooked, American style food. 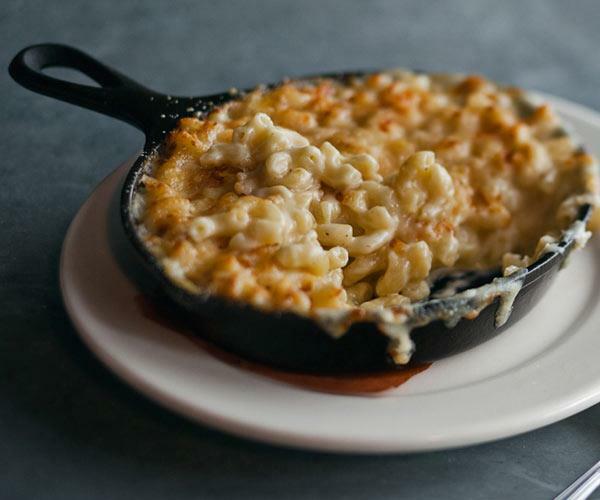 His menu includes roasted chicken, fish and chips, burgers, mac and cheese, salads, steaks and an excellent artichoke dip. All at a very reasonable price. We ordered our usual. 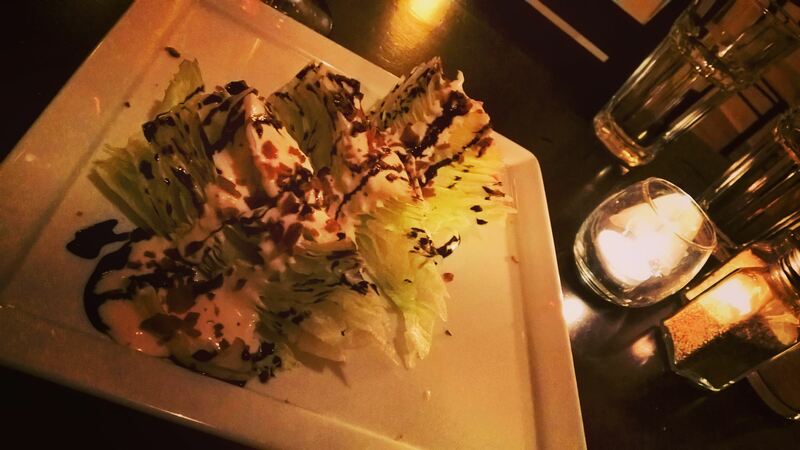 We began with the house salad, which is a wedge salad topped with yummy blue cheese dressing and a balsamic reduction. We followed it up with the delicious roasted chicken, served steaming hot and juicy surrounded by vegetables in a cast iron pan with a side of creamy mashed potatoes. 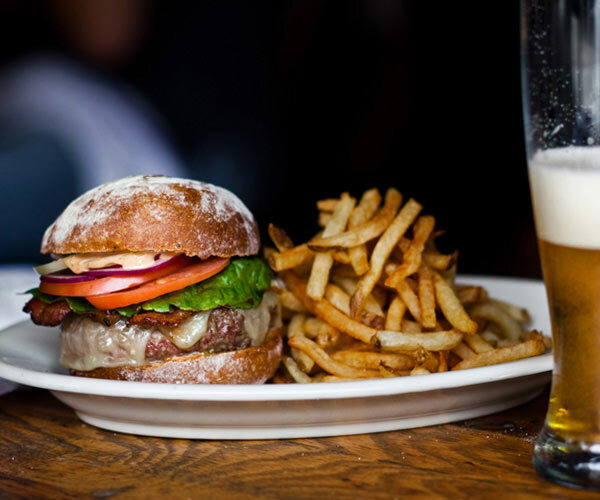 Fonda Americana Grill is currently open seven days a week from 6:00pm to 11:00pm. 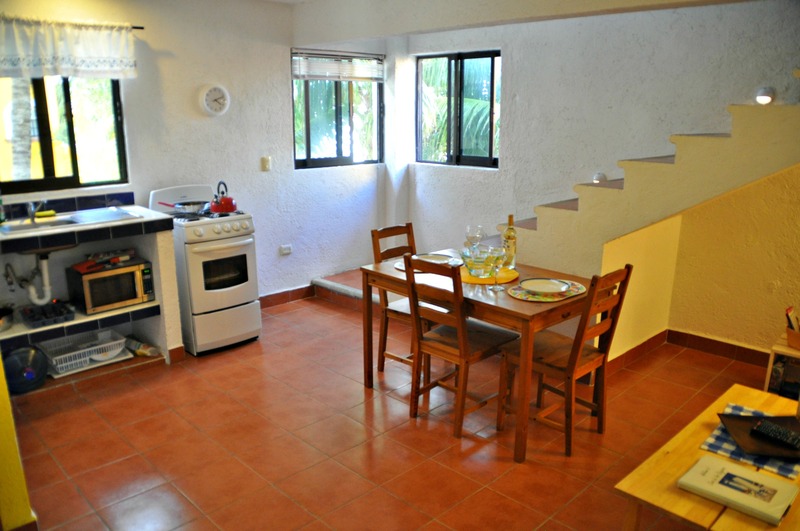 It is located in the colonial in front of Villas Morelos, only a 30 peso cab ride from the port side. 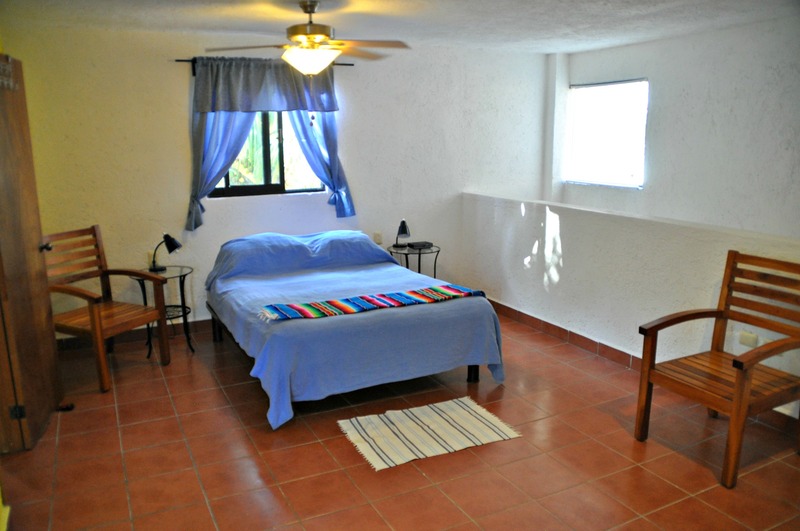 You can find the location on our interactive map. 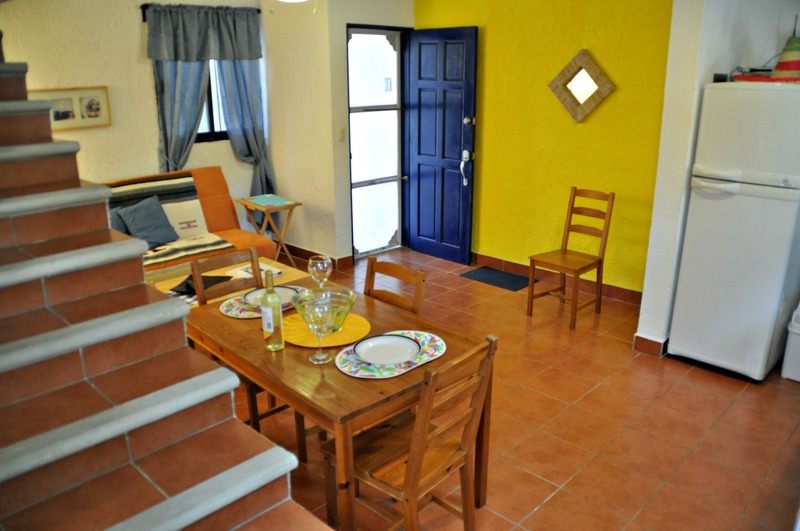 Roberto tells us that he is currently working on breakfast and lunch menus and hopes to be open soon for both. We look forward to trying both!